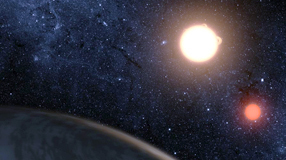 With new faculty members Jacob Bean and Daniel Fabrycky, UChicago joins the search for Earth-like planets. Derek Douglas, a senior adviser to President Obama on urban policy, joins the University in January as vice president for civic engagement. Building on decades of scholarship, the Law School launches Law and Economics 2.0 to reboot the field it pioneered. With sculptor Jessica Stockholder as chair, the Department of Visual Arts continues to attract some of the most distinguished intellectual artists working today. Law professor Tom Ginsburg warns Libyan rebels against moving too quickly toward political reconstruction. Associate professor Rebecca Zorach AM'94, PhD'99, argues that compliant female computer voices reinforce gender stereotypes. Professor Jens Ludwig links obesity and diabetes to living in low-income neighborhoods. At "one of the more fun, freewheeling physics labs you're likely to encounter," Heinrich Jaeger's versatile machines crumple, bulge, and ooze. Ira Glass, the host of This American Life, tells a student workshop that "we live in an age of conversational writing." Watch the world premiere of "double helix" for two violins, University Professor Augusta Read Thomas's composition for the Mansueto Library dedication. ...and other essay options from this year's UChicago admissions application. Chicago could be in for another cruel winter. Accuweather.com forecasts the Windy City can expect 52 inches of snow in 2011-12—only five inches fewer than last winter with its historic, University-closing blizzard. 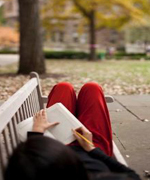 The editors of the College magazine, the Core, want to hear your UChicago winter's tales. Send them to uchicago-magazine@uchicago.edu by November 1 with "Winter Tale" in the subject line. Selected submissions will appear in the Jan-Feb 2012 issue of the Core.